The pancreas is a relatively small abdominal organ that plays major roles in both digestion and blood sugar regulation. It has two primary functions—to make and release a host of enzymes critical to proper digestion of proteins, carbohydrates and fats, and to produce insulin and glucagon, hormones important to blood sugar balance. Pancreatic enzymes reduce digestible macronutrients into absorbable forms needed for bodily function and cellular energy. Proper nutrient absorption is critical to good overall health and quality of life. When the pancreas fails to produce or deliver the enzymes responsible for nutrient breakdown, the body is hindered from converting dietary nutrients into usable forms, often resulting in weight loss, chronic digestive issues and symptoms associated with malnutrition. Low pancreatic enzyme production is frequently caused by pancreatic inflammation or pancreatitis. Heavy ongoing alcohol use, smoking and high fat diets are common causes of chronic pancreatitis. Untreated acute pancreatitis can become chronic over time, increasing the chances of developing insufficiency. Enzyme deficiency can also be a result of diabetes or gastric surgery, as well as genetic and inflammatory conditions such as celiac disease, ulcerative colitis and cystic fibrosis. Most symptoms of pancreatic enzyme shortage overlap with digestive complaints such as bloating, gas, abdominal pain and intestinal upset. Significant nutritional problems are tied to fat and protein malabsorption. Malnourishment can lead to symptoms like muscle weakness and low body weight. 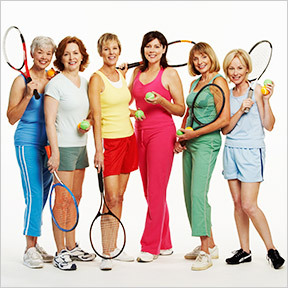 Deficiencies in vitamins A, D, E and K are common, and may result in vision problems, muscle spasms and osteoporosis. In addition to enzyme supplementation, treatment often requires a combination of a balanced low-fiber, healthy fat diet to encourage healthy digestion, and avoidance of smoking and heavy alcohol consumption to lessen the chances of developing chronic pancreatitis. Nutritional supplements are often recommended to address deficiencies and prevent serious complications arising from malnutrition. Medium chain triglyceride (MCT) oil, found naturally in coconut oil, palm kernel oil and butter, is a calorie-rich type of fat that bypasses usual fat absorption pathways to be rapidly absorbed by the body. Supplementing with MCT oil and vitamins may help control weight loss, increase strength, support physical activity and improve quality of life in those with deficiencies. Supplementing with pancreatic digestive enzymes can help improve digestive function and aid absorption of much needed nutrients. 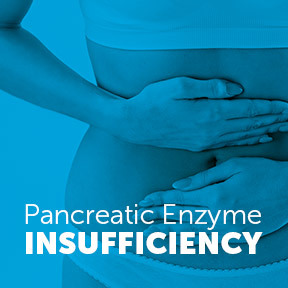 Supplementation of pancreatic enzymes should be undertaken with the guidance of a healthcare practitioner. Lipase works with bile from the liver to break down fat molecules, so they can be absorbed and utilized by the body. A shortage of this enzyme can result in a lack of necessary fatty acids and fat-soluble vitamins. Protease breaks down proteins and helps keep the intestines free of harmful substances. Incomplete digestion of proteins can lead to allergies, increased risk of intestinal infections and the formation of toxic substances. Amylase breaks down carbohydrates into sugars that are easily absorbed by the body. Undigested starches in the colon often result in uncomfortable intestinal issues. Pancreatin 8X Plus by Professional Complementary Health Formulas: This specialty nutritional aid supplies high potency pancreatic enzymes in support of optimal digestive function and overall wellness. pH sensitive encapsulated formula for enhanced assimilation and rapid metabolism. Super Pancreatic Enzymes by Verified Quality: This physician formulated product supplies highly concentrated pancreatic enzymes in support of healthy digestion and optimal absorption of nutrients. Free of gluten, soy, lactose, sugar, binders, coatings and fillers. Pancreatic VegEnzymes by Pure Encapsulations®: This formulation provides a broad acting plant-sourced enzyme blend designed to enhance the breakdown of foods and nutrients and promote complete digestion. Gluten and soy free, Non-GMO vegetarian formula. M.C.T. Liquid by Douglas Laboratories®: This product supplies 100% structured lipids in the form of medium chain triglycerides. MCT’s are absorbed intact and are quickly delivered to the liver where they are used directly for energy production. MCT oil may be a useful aid for individuals with fat-malabsorption and enzymatic insufficiency issues. Free of gluten, wheat, soy, yeast, dairy, sugar and artificial ingredients. Vegan formulation. Vitamin D Complex by Designs for Health®: Each serving of this professional formula provides 2,000 IUs of bioavailable vitamin D, as well as effective amounts of fat-soluble vitamins A, E, K1 and K2 in support of vitamin sufficiency and optimal bodily function. Gluten free, Non-GMO formulation.